Low Cost NYC Theatre Tickets? March 1, 2016 – UPDATE! 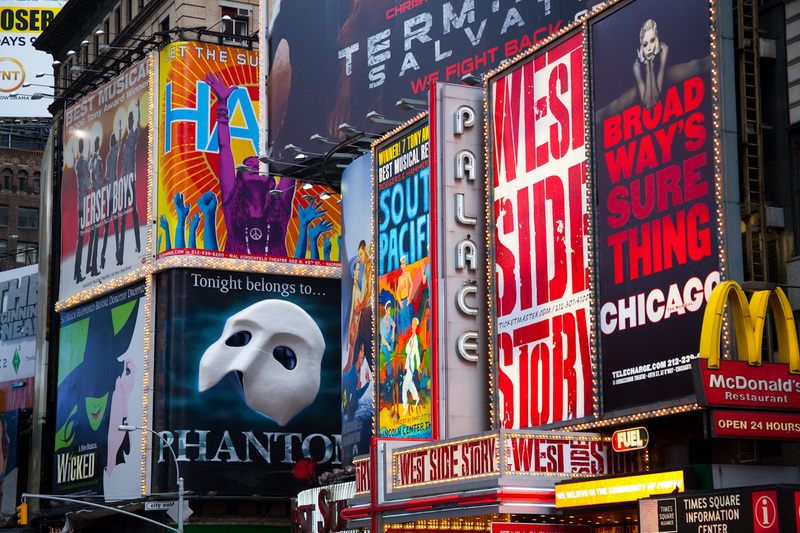 If you’ve been to New York before to see a Broadway show, you know about TKTS‘s discount booth in Times Square, but did you know there were other ways to get discounts on Broadway shows? NOW, did you know that teachers, full-time students, members of the armed forces, retirees and clergy can ALSO join TDF? Yep! Just check out their site! The “catch” is that you have to mail or fax in your information to be approved. So, a few months before your big NYC trip, just send in the info and you’ll get a letter from them with you membership. The hottest Ticket App is TodayTix! I saw this app online a while ago, but not until a friend of mine told me about his amazing deals (and how it works) did I actually download it! Ever since then, it has been my go-to ticket finder! It’s only been around since 2013, but last year they went BIG TIME with FREE preview tickets to Hamilton! How does it work? You only get a two week availability window. So, two weeks before you want to see a show, you log in, pick the show, date and time, purchase and your get an email confirmation. Then, on the day of, TodayTix tells you a designated spot for pick up in front of the theatre (45 minutes before the show) and a nice representative in a red shirt will have your tickets in an envelope. It’s THAT simple! Now, when you are in town, you can always go straight to the theatre and ask about their offers. In my experience, Playbill has to most update information! Ok! For those of you who want the most bang for your buck to get REALLY inexpensive tickets are rush tickets, (SRO) standing-room-only, and Lottery Rush tickets. How to Lottery tickets work? Well, you get up early in the morning – day of a show, go to the theartre of the show you want to see and enter to win! The tickets are usually between a $10-$40! You aren’t guaranteed a win, of course, but you could see some cool street acts from Broadway performers! Broadways current HOT HIT, Hamilton, however, had to switch to an online lottery because so many people were showing up that it was causing a public disturbance! G_d bless theatre fans! NYCTix.com has the most up-to-date lottery list I could find but each theatre has its own rules so check out Playbill or Broadway Direct for the best updates. BroadwayBox.com also does a lotto for some shows! FOR KIDS! The Broadway League does a really cool Kid’s Night. Here’s how this works (directly from their site): “Adults purchasing a full-priced ticket will receive one free ticket for a child age 18 and under to the same show.” Now, they are only on certain nights and usually an off night like a Tuesday or a Thursday, but what a wonderful way to introduce your child to Broadway! Well, I hope you’ve found all this info useful and that it GREATLY improves your NYC Broadway experience! If you have any insiders tips of getting great NYC theatre seats at a discount price, I’d LOVE to know! So, please share in the comments!